In a city where restaurants come and go on a pretty regular basis, Chef André Rochat has found a way to be successful for 35 years. Rochat was born in the French Alps and left home at 14 to apprentice at Leon de Lyon, a Michelin two-star restaurant. Later, he took a job at a hotel and followed that with a military assignment as chef to a French naval commander. In 1965, Rochat departed France for Boston and cooked at several prestigious East Coast hotels. 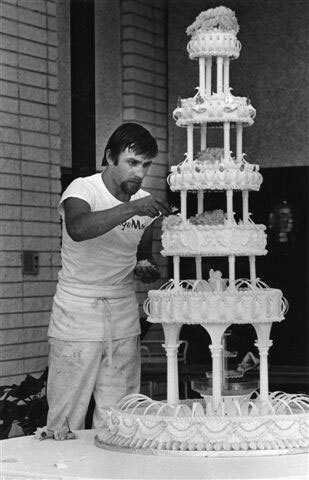 He eventually moved to Las Vegas where he worked at the Sands hotel and in 1973, he opened the Savoy French Bakery. Rochat became a pioneer in the Las Vegas dining industry in 1980, introducing the city to its first freestanding fine dining experience. He purchased a 1930s-era house downtown and transformed it into his eponymous restaurant. 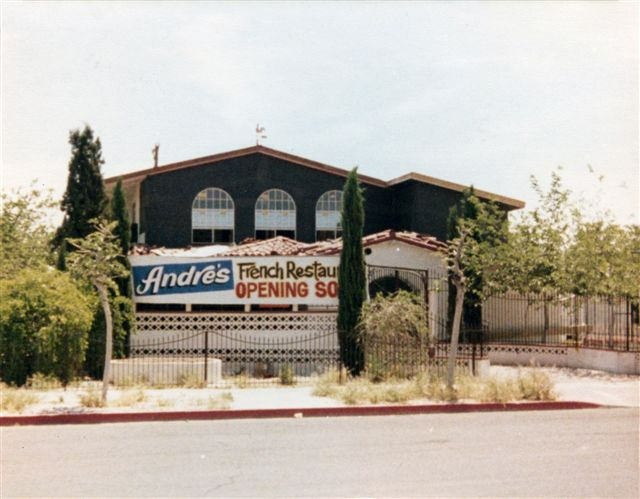 André’s in Downtown Las Vegas was the only freestanding gourmet option at the time and it quickly became a hit with locals and tourists. In 1997, Rochat expanded with a second location, André’s Restaurant and Lounge at Monte Carlo. By 2001, he opened Alizé at the Palms Casino Resort. The downtown location of André’s closed in 2009. 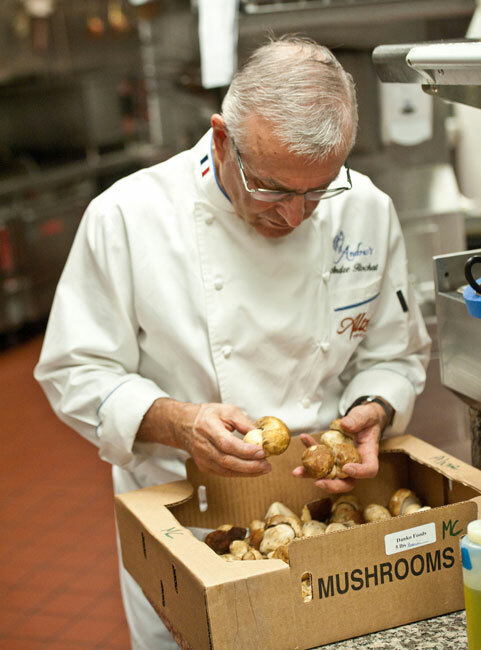 Both Alizé and André’s have been recognized by the Michelin Guide with the one-star rating and in 2014, the Nevada Restaurant Association gave Rochat a Lifetime Achievement Award. Last night, Rochat received another honor to celebrate his 35th anniversary — a special dinner by his peers and protégés at his restaurant at the Monte Carlo. Throughout 2015, everyone can help celebrate the anniversary. André’s and Alizé will feature specials including 35 percent off wines through Dec. 31 at both restaurants for early evening reservations (5:30 – 6:30 p.m.); and those who dine four times or more in 2015 will receive a fifth dinner for two (a value of $200) compliments of the house. 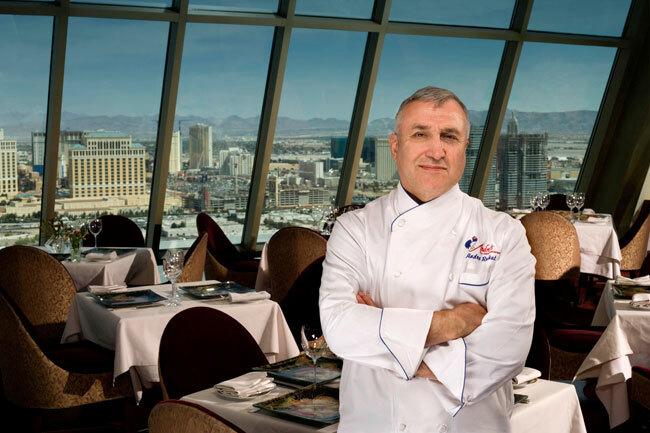 We had a chance to sit down with Rochat to ask him about his experiences in the Las Vegas dining business over the last few decades. Q: When you first opened your bakery in Las Vegas were you always planning to open a restaurant later on? A: The bakery was a step up. When I moved here I didn’t have the money to open a restaurant. I started with $25,000, bought an oven and a mixer… although I was not a baker. I called a friend of mine in Boston, Maurice, who was a fantastic baker and I said, ‘Maurice, I’m opening a bakery and I need you to show me how to make bread.’ So he came down for a week and showed me that and that’s it. And it was one of the most popular places in Vegas. Some days we were so busy we would have people sitting on the stairs outside…We used to have a lot of big stars from the Strip come in to eat and it was a fun place. Q: Your restaurant downtown was really one of the first fine dining restaurants in Las Vegas outside of a hotel, wasn’t it? A: Right. We opened downtown in June 1980. We had two menus — one menu at $14.95 and a menu at $18.95. It was an old house. It was owned by a lady by the name of May Martin and she had made a boarding house so it was little rooms all over the place. So we did all the remodeling and I personally did most of the building in there. Each room had different structures on the wall and the ceiling and I did all that. Every year we used to close for the summer for a month and I’d do something in the restaurant. It was fun. It was a great place, very unique. I miss it. Q: Do you still cook a lot of the same food that you did back then? A: Pretty much so. I mean, sure we changed a bit with the times. Now’s not like the old time where a lot of food items were not available at certain times of the year. Now all that’s changed. You can get pretty much everything any time. I remember back in the ’80s if you wanted to get some raspberries in December, well there wasn’t much chance you were going to get some and if Caesars Palace wanted some raspberries, well you weren’t going to get any because they were taking everything there was. So it’s a lot different today. We still like to keep the same way of cooking. Sure, we use different ingredients that we didn’t have before but we still have the same philosophy of using the freshest, the best and it’s all about taste. It’s all about flavors. There’s no secret. Presentation is important. Too many times your plate looks pretty but doesn’t taste like much. And that’s one thing we don’t want to do here. It’s all about what you get for the price. You don’t mind paying $5 for a hamburger if you have a $5 hamburger. But if you pay $5 and you have a $2 hamburger it doesn’t work out. When a customer leaves here we want them to have the best food for the right price…We have a lot of people who can’t afford to come often but whenever there’s a birthday or an anniversary we’re the place they come to because they know they’re going to have a great meal for the right price. Q: You must have seen a lot of changes in the dining business in Las Vegas over the past several years. What are some of the biggest changes and challenges you’ve seen? A: The Strip is getting so big and there’s so many places now. That’s I think the biggest challenge for the whole city is there’s too many places and too many competing. They don’t compete by trying to do something better than the other, they try to compete by selling cheaper than the others. We’re living in a world where food is secondary to anything else. The house, the car, the new dress or whatever is more important than a nice dinner. I think it’s the biggest problem today is young people don’t realize… it will be important later in their life, to spend time for dinner with people, your family, your loved ones or spend time at the table having an intelligent conversation instead of playing with your cell phone. It’s some of the best times of your life. I don’t care what you do, if you look back, the best time of your life is always around a good meal. Any celebration, whether it’s a birth, or a wedding or even a funeral, it’s always around a meal. A meal is the most important thing in life, basically. That’s where you share valuable time with people that you care for and we forget that. We’re always running somewhere, but where? The world is not ending tomorrow. Dining is quality time and people are not realizing how valuable it is. That’s what we’re trying to do. Our dining room is small, it’s cozy and when you come here, relax. Relax, we’re not going to kick you out to put someone else in. Relax, enjoy, have a nice bottle of wine, enjoy conversation with the people you’re with. Q: We open and then close a lot of restaurants in Las Vegas. What do you think are some of the keys to your success? A: Never give up…When times got tough, some people were doing two for one, they were doing the early sunset dinner and all that and whenever it got tough I raised my prices and tried to do better. Whenever you give something away you’re going to get more people. You get more people, you get more labor, you make less profit, you end up in deficit. Do less people, make some money, you can pay your bills. It’s simple. And people who spend money don’t mind spending money if they get their money’s worth. It’s always the same thing. Give them their money’s worth. And that’s what we always did. We always tried to improve, always tried to do a little better, always tried to make people feel not only welcome but feel that whatever money they spent was well spent. Q: Are there any trends in dining right now that you’re excited about? A: I never get too excited about new trends because trends come and go…there are some things that look good but that’s about the extent of it. A lot of the new places with miniscule portions…you get 12, 15 courses of miniscule portions. Those places are places you go once. They’re not places you’re going to make a point to go once a month. They’re an outrageous price for an experience. And it’s an experience and you should try it one time but that’s all you’re going to do it is one time and that’s not our thing. The old style is never going to be gone. There is no secret there. It’s natural product, it’s about taste and also about portion. You want to go and eat. You don’t want to leave hungry. Q: Do you have any favorite dishes that you always like to cook? A: We have some dishes that we’ve been doing since 1980 like the filet, the Dover sole, the rack of lamb. We’ll change some of the sauce on the filet, the rack of lamb but it’s still the same. The Dover sole has been a classic forever. We have a client who flies from Denver on his private plane to have the Dover sole. Still today we have the best Dover sole in town. We bring fresh Dover sole in from France every week, line-caught Dover sole. We’ve been dealing with the same guy for over 30 years and it’s the best. Q: Do you have any restaurant in town other than your own that you like to go to? A: There are a few places that I go to. I used to love Valentino’s but it’s not there anymore, unfortunately. That was one of my favorite Italian restaurants. There’s a couple of Asian places. But I don’t go out much. In this business you work every day so you eat here. When you’ve got the best place in town, why do you want to go somewhere else? A: …I realize that in life you have to know when to stop. I’ve been doing this for 56 years and in this business you work six to seven days a week. I mean I work years without a day off. I never had a Christmas or New Year’s or holiday with family, never. You work. You work, period. That’s the way it is. I look around and I see some of my friends who are not so fortunate and I figure it’s time to slow down and maybe do things that I never could do before that I wanted to do.